Sold by Mittal Books India (4.7 out of 5 | 12,542 ratings) and Fulfilled by Amazon. Gift-wrap available. 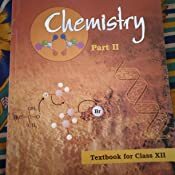 An apt choice for the students of Class XII, this textbook of Chemistry (Part – 2) has well-covered chapters that are included in the syllabus prescribed by the Central Board of Secondary Education (CBSE). 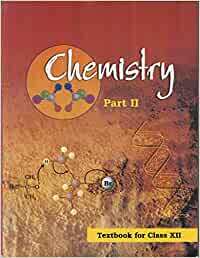 Published by NCERT, this book is designed with the purpose to explore not only the importance of the viewpoints of chemistry but also recommend schemes or tactics that will make the learning process simple and easy. 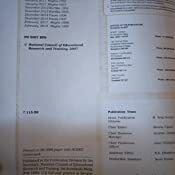 With proper illustrations and tabular representations, this book help the students to have a better understanding of the scientific processes and principles. • Each chapter is divided into several subsections and explained in a topic-wise manner so that students get a better understanding of the subject matter. • ‘Summary’ section at the end of each chapter helps to recapitulate the concept that are being discussed in the chapter. • Contains exercise with solved answers at the end of every chapter. 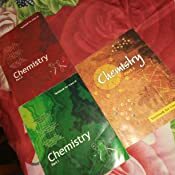 • Solved examples are provided to show each and every step of a chemical reaction. Highly recommend for preparation of IIT JEE . As CBSE conducts the exam it takes NCERT as the source. And packaging was good as always no damage to books . 3.0 out of 5 starsCover edges are torn. The book is torn at the edges also print is very light. Looks like used . 5.0 out of 5 starsWho should buy? 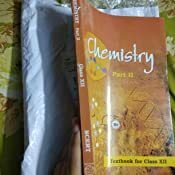 Conceptual, If anyone want to study this book he/she must be having little idea about the chapters..
received it cheap according to MRP but printing quality is not that good......but the main objective of study can be full filled..